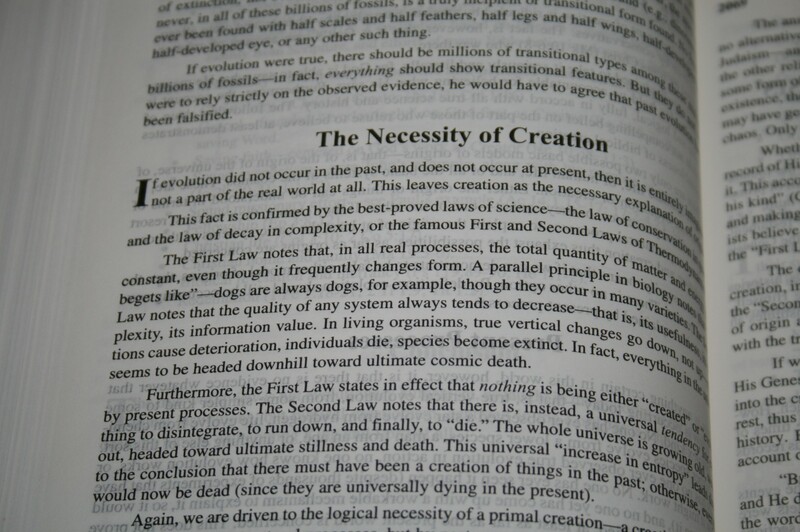 It has a 10/11 point font for both the text and the notes and is very readable. 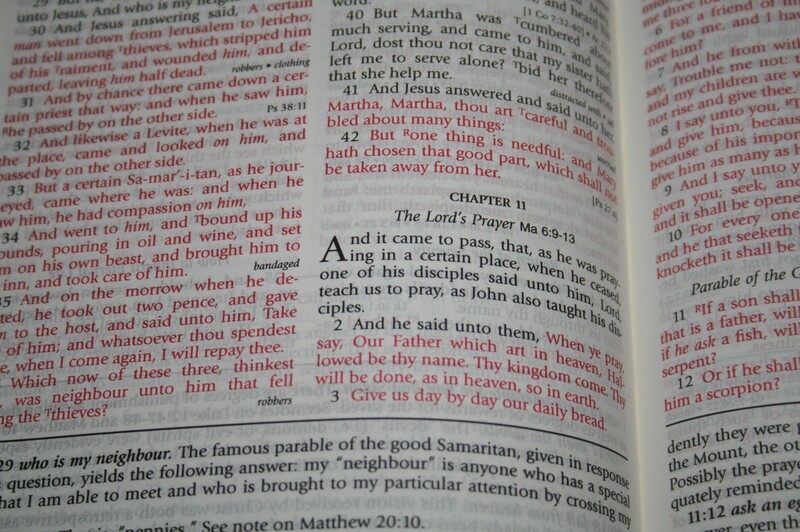 This is a red-letter edition that is about a medium shade of red. It looks nice. 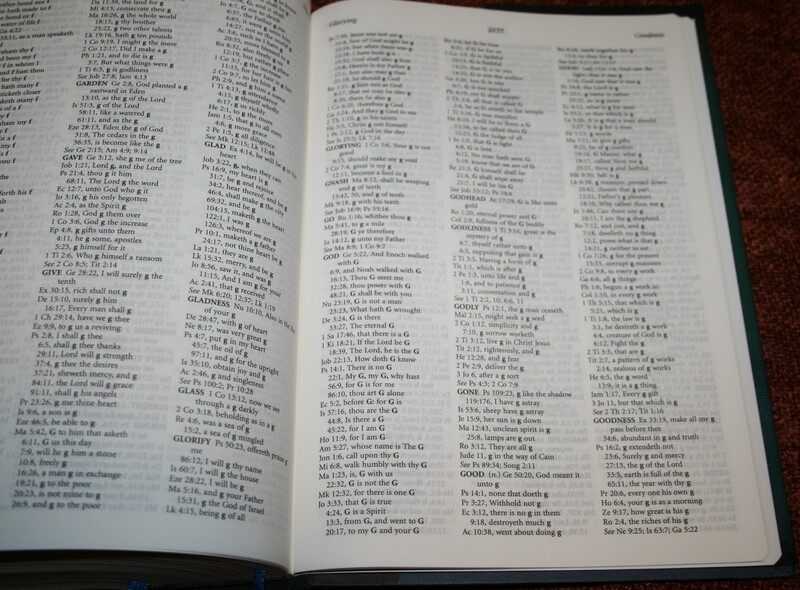 To help with pronunciation, there are hyphens to separate the syllables and accent marks. There are no symbols to show vowel sounds, etc. , but it still works just fine. 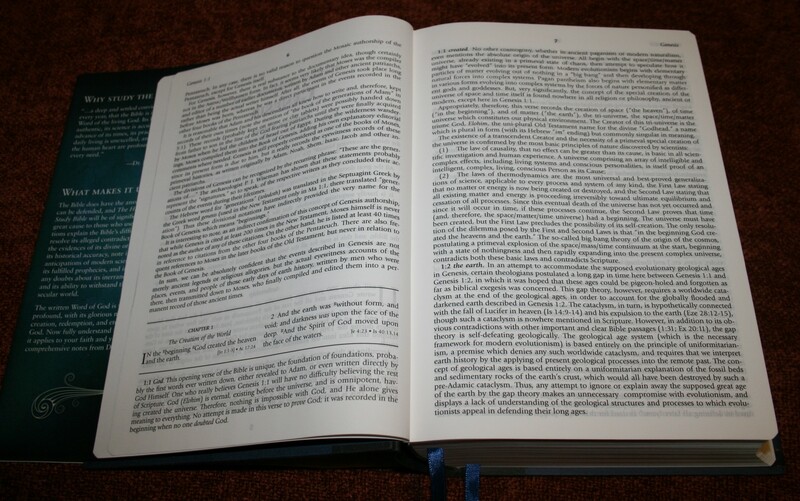 There are plenty of headings in the text. In the Gospels, the headings include references to parallel passages in the other Gospels. The paper is thicker than normal Bible paper and feels more like a regular hard-cover book than a Bible. 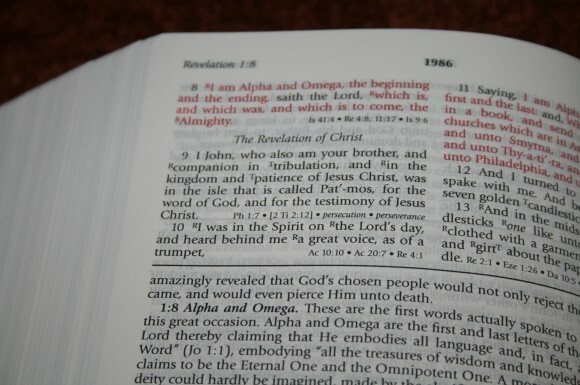 The paper has about a medium opacity and helps to make the Bible very readable. 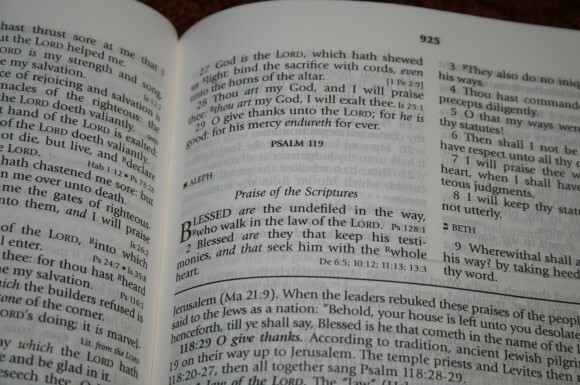 The references are at the end of the verse. 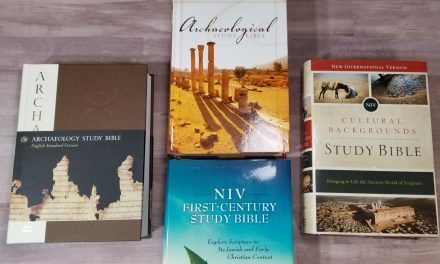 They are keyed to the text with the letter R. there are also translation notes that are keyed with the letter T. There are not as many references and notes as what is found in the average study Bible, but they are still pretty good. The notes are plentiful and well-written. There is a vest amount of subjects covered including a wealth of information on Young Earth Creation and contains information from Hebrew, Greek, and scientific laws. 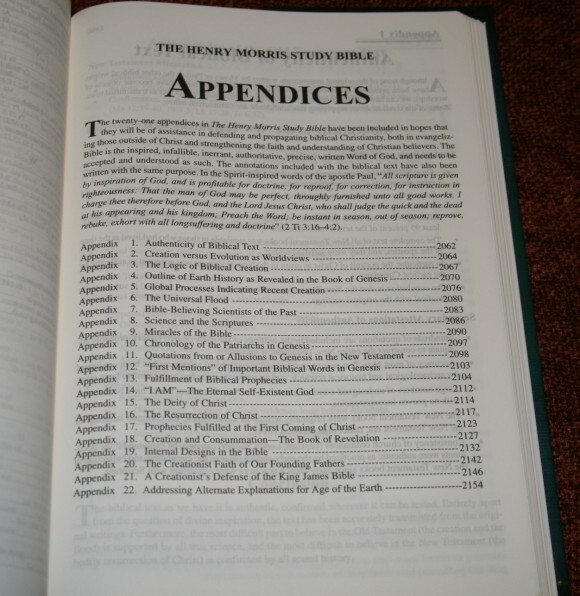 There are 22 appendixes, taking up almost 100 pages. 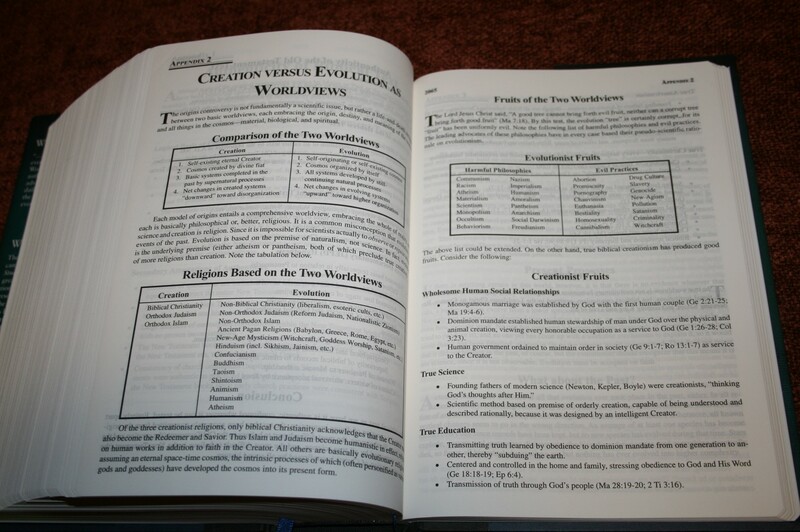 There is a range of topics including Creation, science, miracles, the flood, the authenticity of the Biblical text, prophecy, the Godhead, and more. Some of the appendixes include references for further study. Maps There are 8 very pretty maps. There is no index to the maps, but some of the maps have notes that make them easier to use. 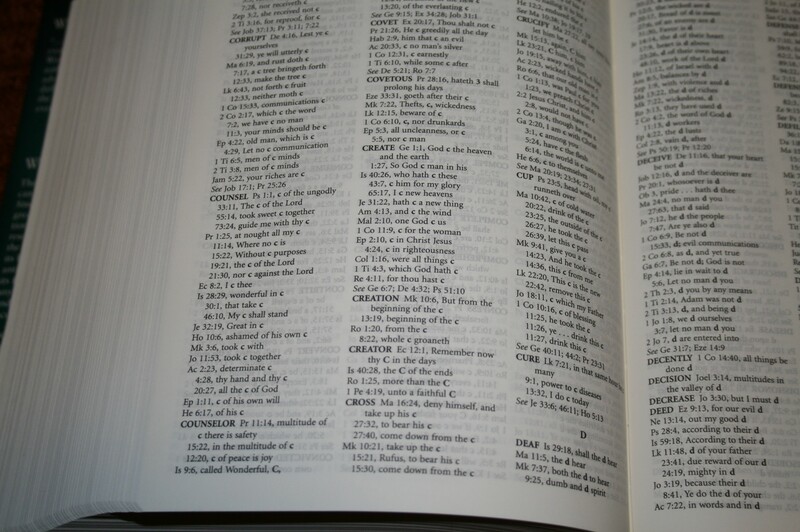 The concordance is only 46 pages, but it is in three columns. 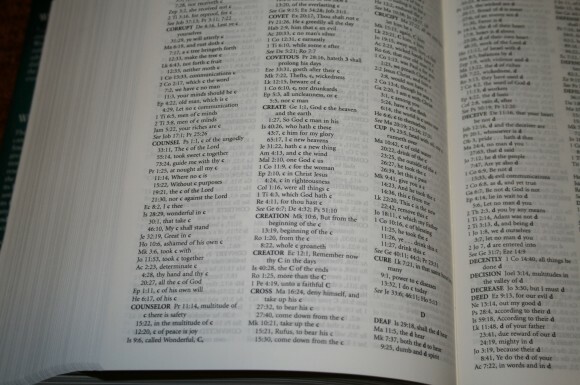 There are 56 references for ‘God’, which is far more than most concordances. 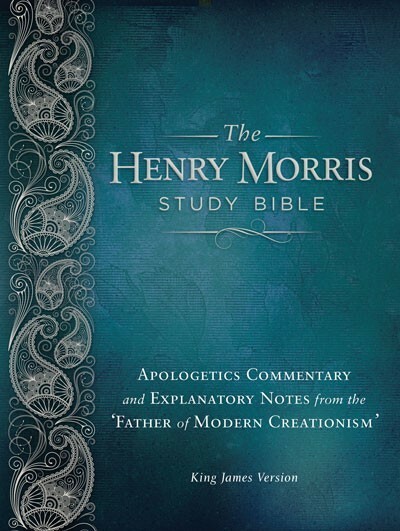 The Henry Morris Study Bible is a good study Bible for those interested in Creation and science. 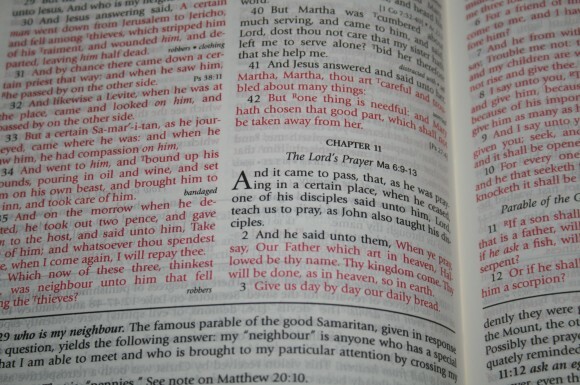 I like this Bible (as those are two of my favorite topics) and expect that I will get a lot of use out of it. 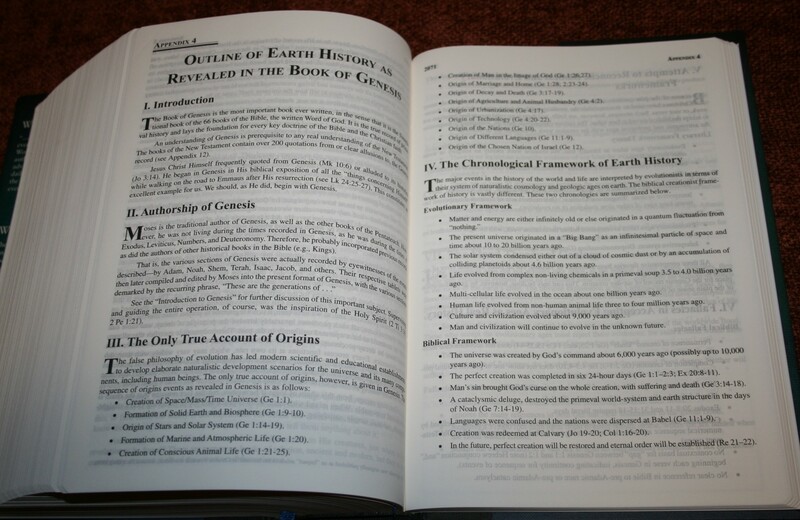 It is a very hefty Bible (about the size of the Archaeological Study Bible or ESV Study Bible). Like all study Bibles, I caution the readers of using someone else’s notes. 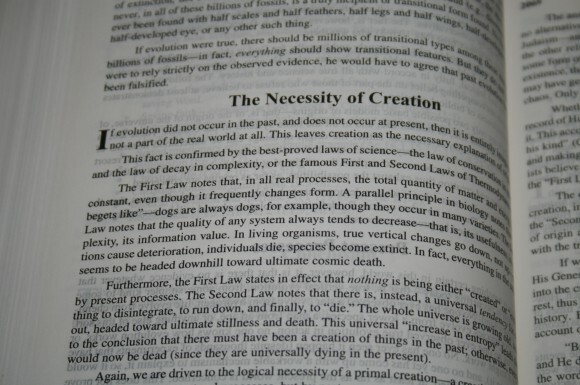 There are notes that I do not agree with, but I do agree with the primary topic of Creation. This Bible is a good resource for Creationists. New Leaf Press provided this Bible free for review. I was not required to give a positive review- only an honest review. 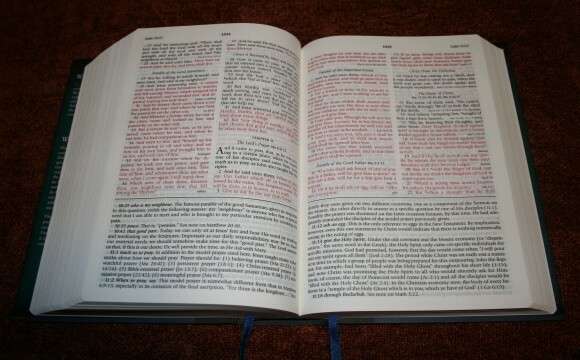 Would it be possible to see a picture or two of the inside of this Bible? Hi Lois. Thanks for stopping by. 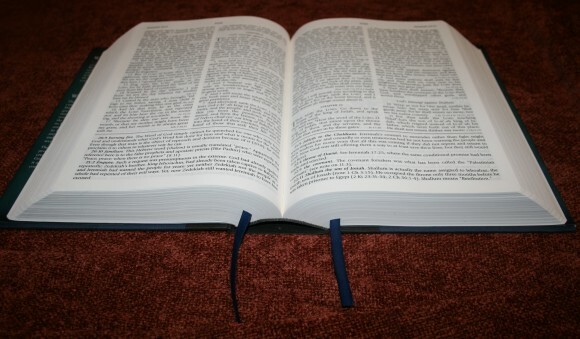 I’ve been thinking about posting pictures of this Bible. I’ll get try to post them in the next day or two. Awesome review. 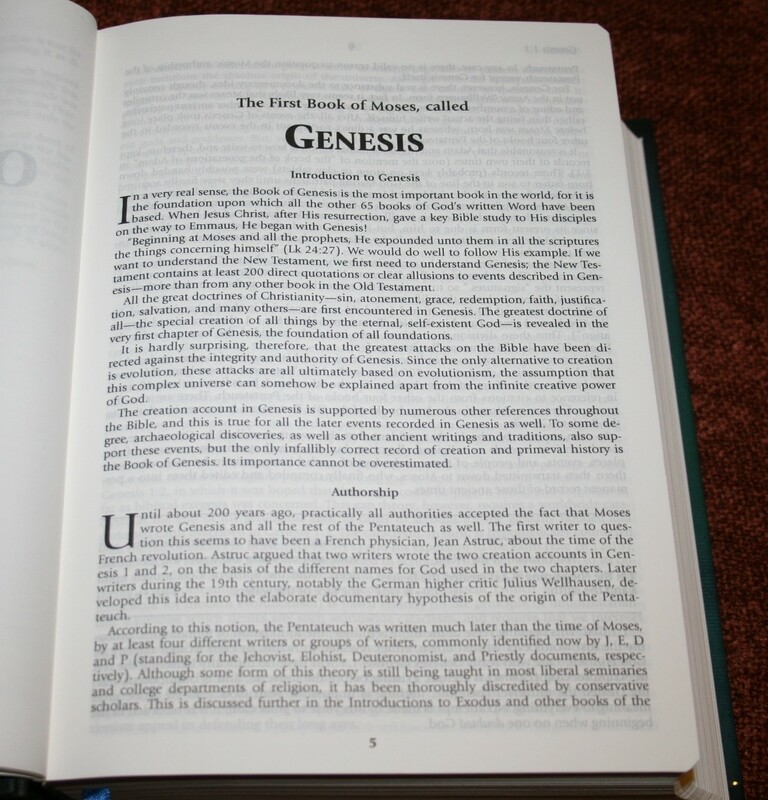 When i was first saved years ago evolution was a huge stumbling block in the back of my mind which satan used to whisper doubts in my head anytime i got into genesis. Then i bought the defender s study bible hardcover as my first study bible and the young earth creationist notes taught me that evolution is not a fact but actually a satanic ruse thats cost 60 million lives in last centuries wars. Made people think they were evolved slime and they acted like it. 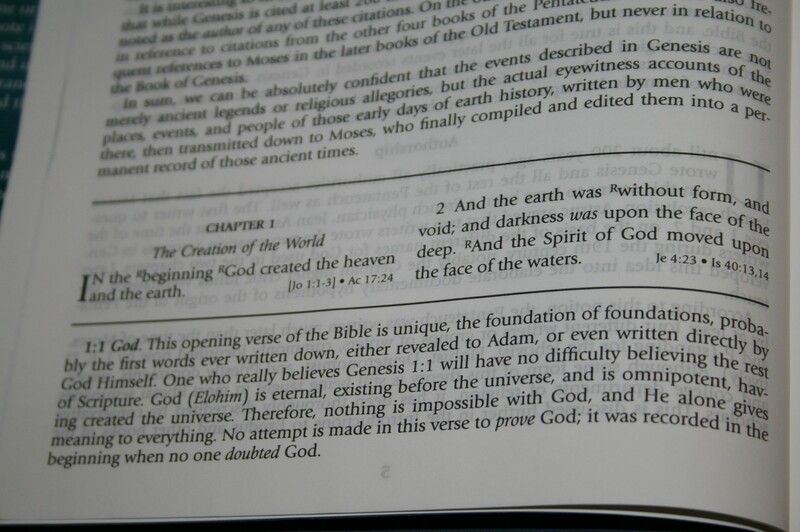 Also in the beginning by walt brown helped me a lot too. 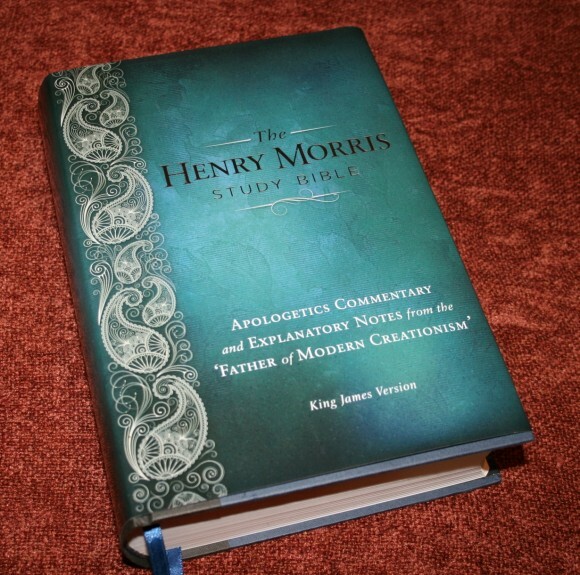 I didnt know this henry morris study bible even existed but i got to have it. Im going to get the black leather copy. 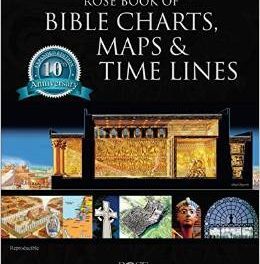 This is going to become my main bible again. 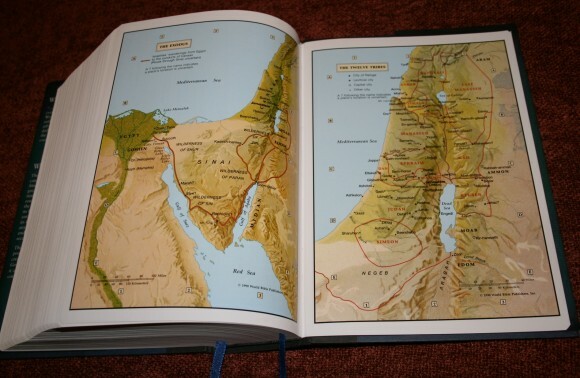 Someone stole my defenders bible because i forgot it at work a decade ago. Which ushered me into my kjv thompson chain stage which im still in by the way. I love the thompson chain so much too. Thanks for the review Randy.